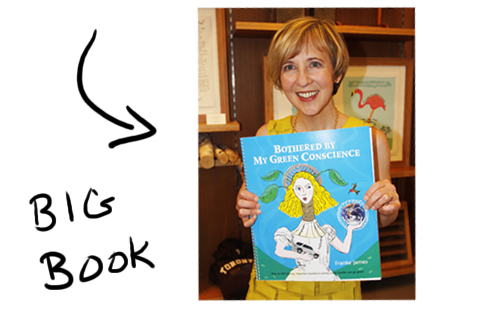 Bothered by My Green Conscience has officially launched in Toronto. Yeah!! It’s “DONE.” And with eccentric green glamour style too. 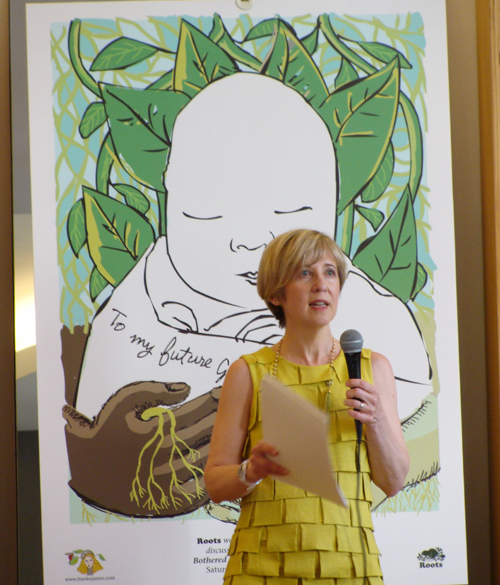 To be honest, I had no idea how I was going to “launch” my book. Where should I have it? What’s the best format to get people engaged? Who will come to it? Many, many years ago, when the World Wide Web was still in its infancy…. 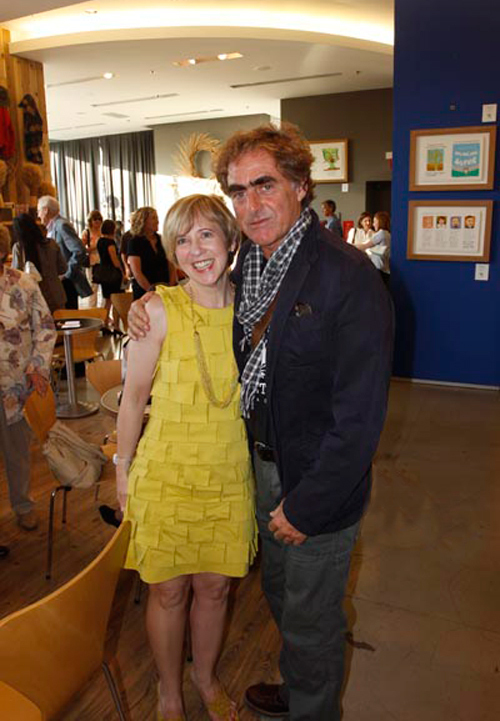 I phoned up Michael Budman, co-founder of Roots with the idea that they should be on the web. Luckily he and Don Green (the other co-founder) agreed. And so we built their first website which debuted in January 1996. 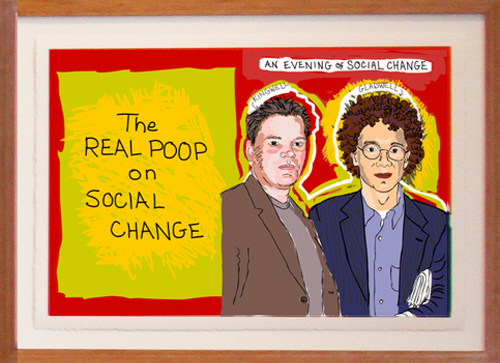 We had some fun features on the site including this one of Michael and Don bobbing in the lake. 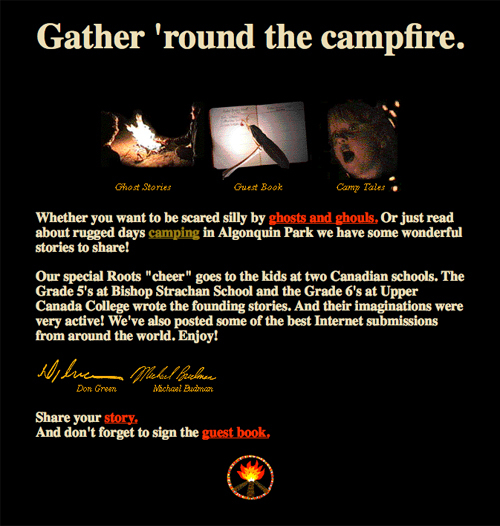 One of the most popular areas on the site was a section called “Around the Campfire,” where Grade 5 and 6 students from two Toronto-area schools had written ghost and camping stories. Fast forward to today, and you can see storytelling is still in my blood. 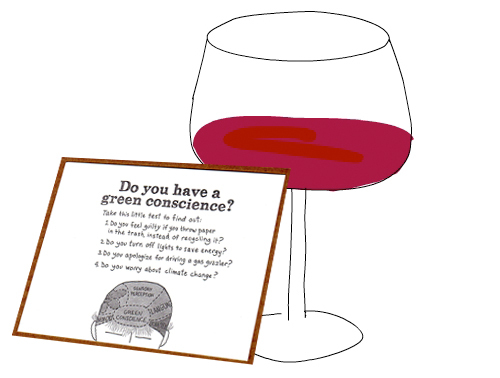 To get the party started, we handed out small cards asking guests to tell us what was bothering their green conscience. 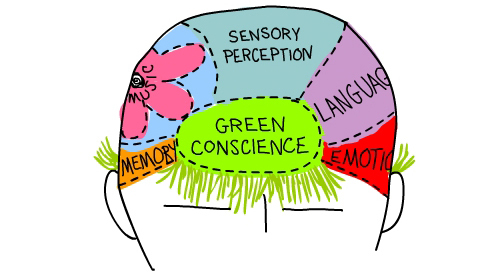 Would they confess their green guilt? So many people showed up I was thrilled. Old friends, family, neighbors, green supporters, and lots of very creative people including Joshua Tusin from BlogTO, Kelly Rossiter from Treehugger & PlanetGreen, editor Lindsay Borthwick and the Green Living team, Anil Kanji from Greenpeace, Si Si Penaloza and Tania Leah Haas from Woman.ca, Kelly Drennan (aka @ecofashionista), Claire Blicker from Kate Walker & Co, book author Rona Maynard… You get the idea — there were lots of amazing people who lead really interesting lives! People I would have loved to sit down and have a good long chat with… but there was an event to get done! 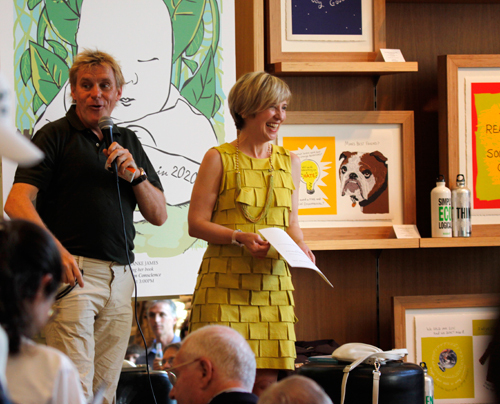 Raymond Perkins, Director of PR for Roots kicked off the evening by introducing Ron Dembo, Founder and CEO of Zerofootprint as the man who is helping Roots be green. 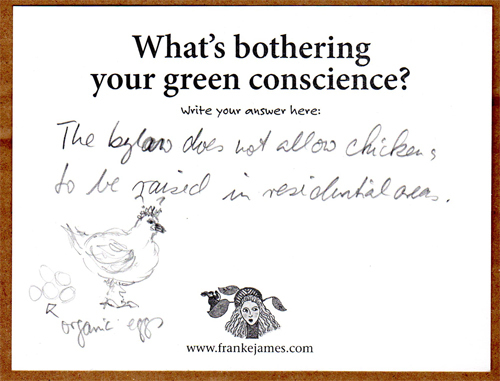 When I got up to speak I started by reading the Green Conscience cards that had been filled out by guests. There were so many things nagging at people… I laughed at many of them as they really rang true for me! Here are just a handful of the responses. I don’t know who drew this but I admire the chicken drawing and the organic eggs! 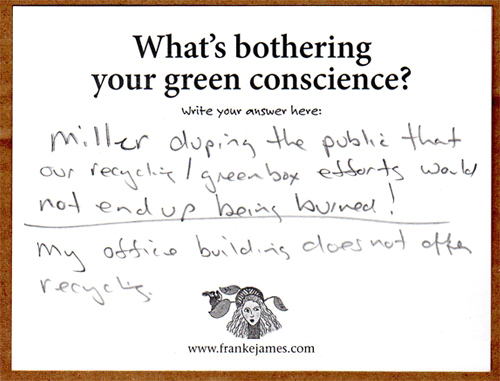 our Mayor Miller and the greenbin fiasco! 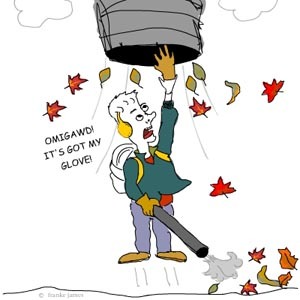 Here is one of my pet peeves… LEAFBLOWERS!! 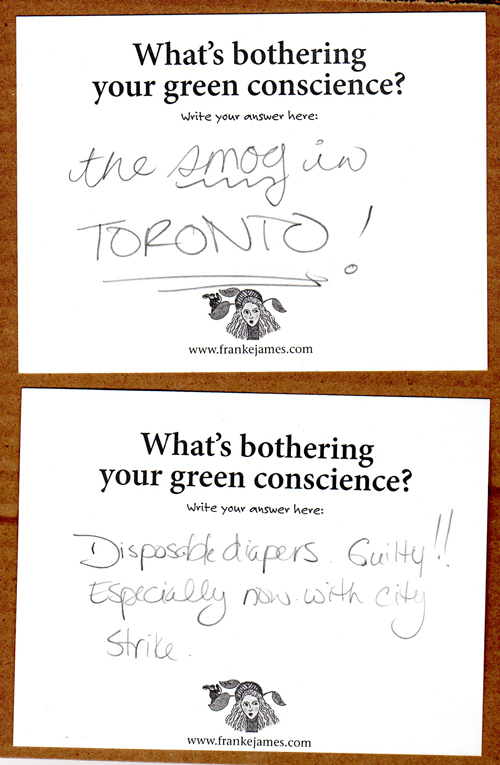 The air as a giant sewer and dirty diapers! Are they connected? And here’s one I didn’t write, but could have! 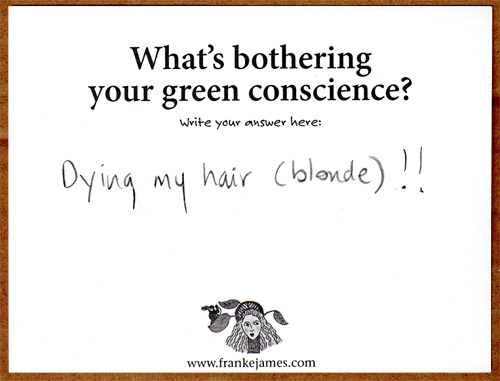 I do feel guilt when I get my blonde highlights done. 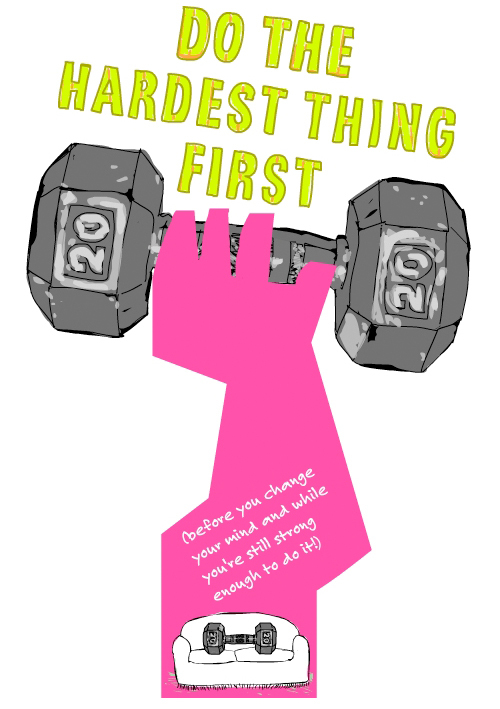 Plus doing the hardest thing first also recognizes that few of us can be 100% perfect in our green lifestyles. Me, for example! I’m still eating imported strawberries and getting my hair highlighted, but I can feel good because I’ve got some big actions “right.” Like what? Well, we sold our only car, an SUV, in February 2007. 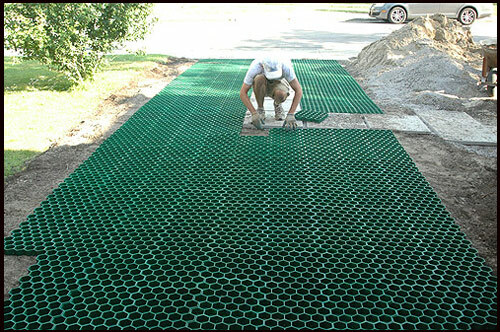 We built a green driveway despite facing objections from the City. I can feel good about those actions. Does that mean I’m expecting YOU to sell your car or build a green driveway? Nope. 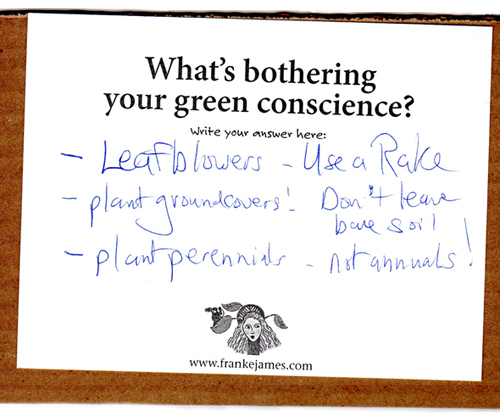 If someone had said, “Franke you must sell your car and build a green driveway!” — I would have told them to take a hike… But because the idea came from within, I was happy to do it. As a family, we see lots of benefits now: improved fitness, we buy less stuff without a car to haul it around in, and we save $10,000 a year! 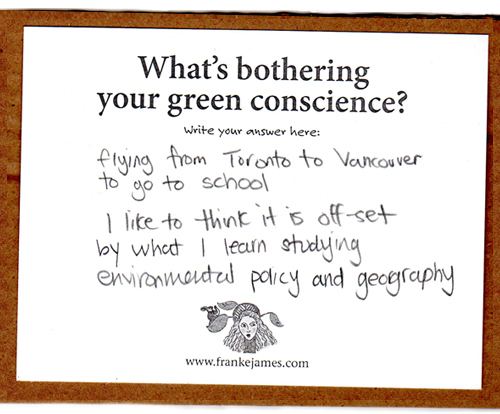 There are lots more green goals I want to accomplish — but I’m pleased that we’re moving in the right direction. I know I want to be able to say I did more than change a lightbulb. 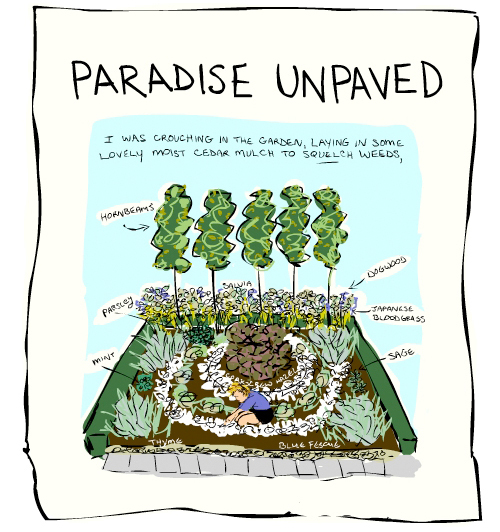 That evening I read my visual essay Paradise Unpaved. Often, I present my work with a digital projector, but Roots wanted the evening low-tech. 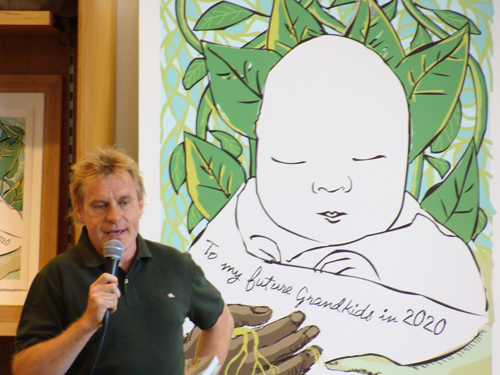 So, I made up a big book to read on stage and showed the pictures to the audience. I also showed one of the PermaTurf pavers used to build our green driveway. The pavers interlock to create a drivable, load-bearing surface that can withstand 100 tons per square yard (enough for a fire engine). 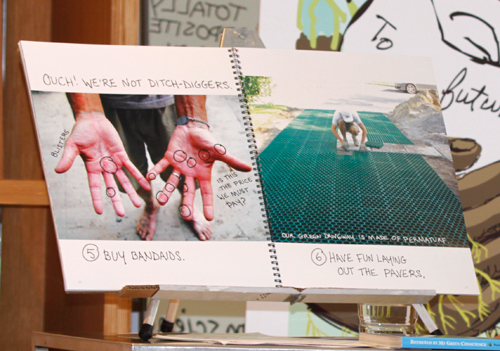 The 13″ squares are made of recycled plastic. Soil and grass seed goes inside each honeycomb cell. When a car drives on it, the grass blades flatten, but the roots are protected inside the cells and do not get damaged. In the image below you can see what our driveway looked like one year later, with the grass grown in. 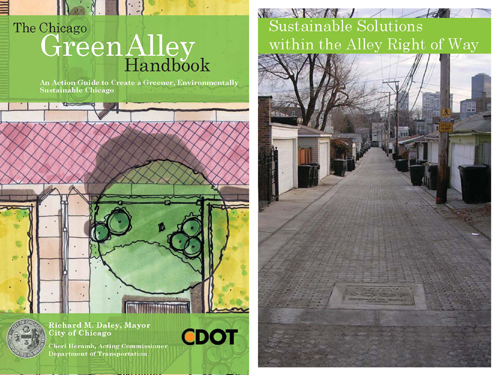 So how relevant to the audience was all this information about building a green driveway? Well, just in case someone wanted to build their own as a long weekend do-it-yourself project, I did point them to my step-by-step articles. 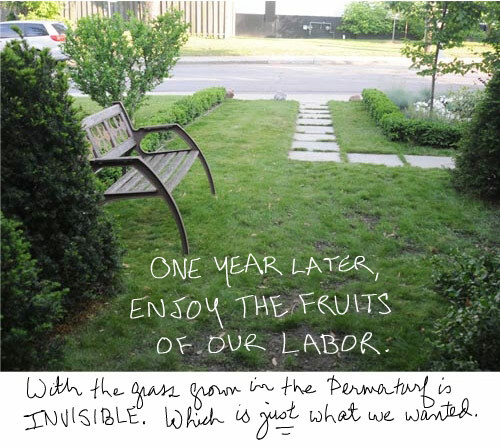 But what benefit is our green driveway on a bigger environmental scale? 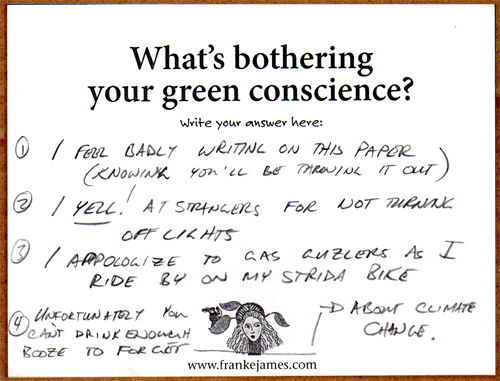 While it’s nice for me to have a green driveway, what difference does it make to you? 1. 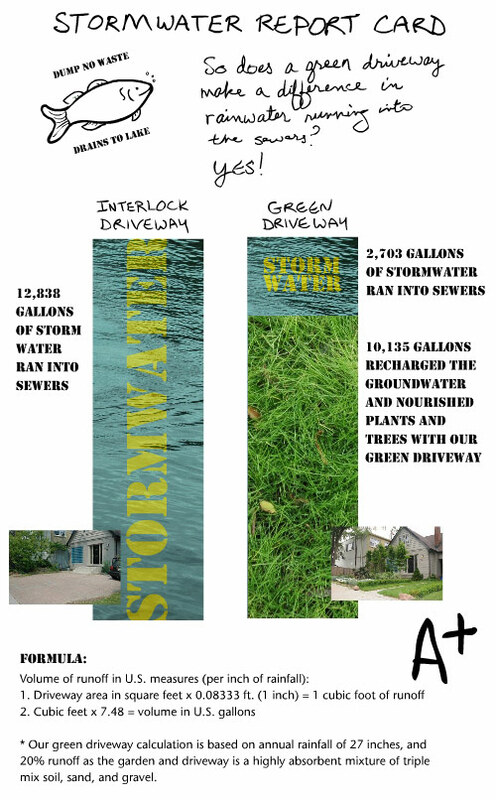 Stormwater runoff is the #1 source of lake water pollution in urban areas. The more permeable surfaces we have in Toronto, the less polluted stormwater that runs into the lake. 4. Winning approval from the City to build our green driveway (despite initial objections) has ‘greened’ the way for others. The insurance industry is on the front lines of climate change — and they are not happy about it. Climate change is costing them money: One violent rainstorm in Toronto in August 2005 cost them $400 million in individual claims! And that is just one storm and one city. For them to “win” they need to be able to accurately predict future risk. 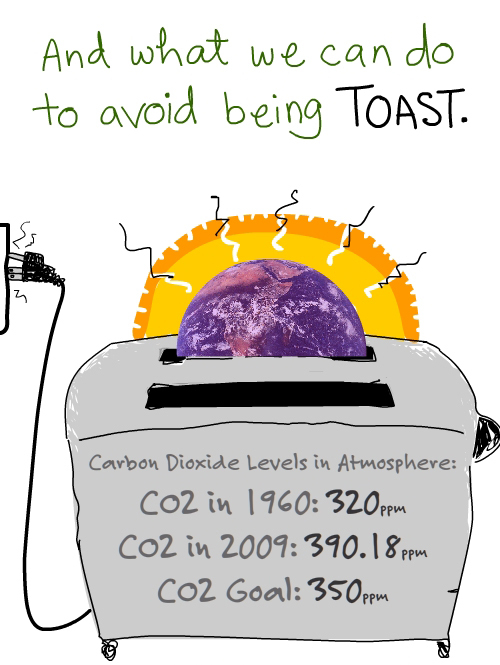 Climate change is making that extremely difficult. 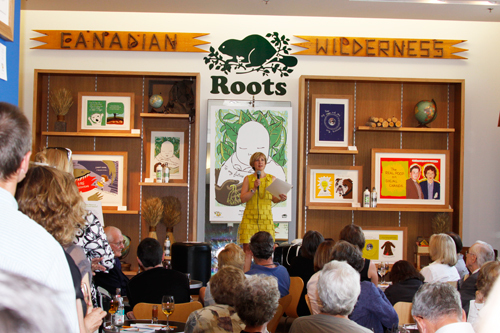 As we said our goodbyes, I thanked Michael Budman, co-founder of Roots, for hosting the event. 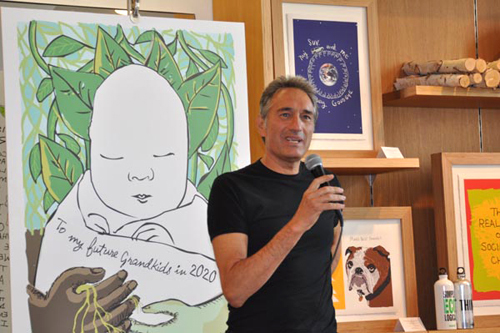 I also announced donations of my book illustrations (giclees on bamboo paper) to two environmental organizations which have given me support and encouragement. 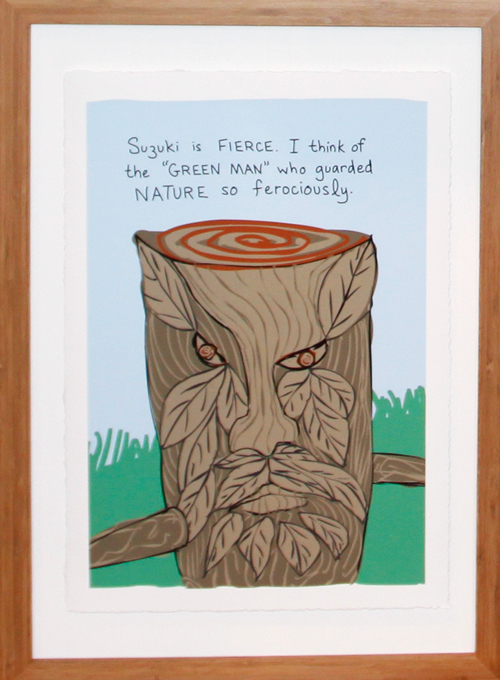 I am donating “Suzuki as the Greenman,” to the David Suzuki Foundation. 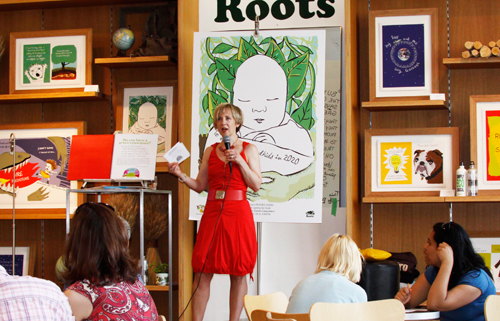 And signing at Roots! My thanks to everyone for your tremendous support! 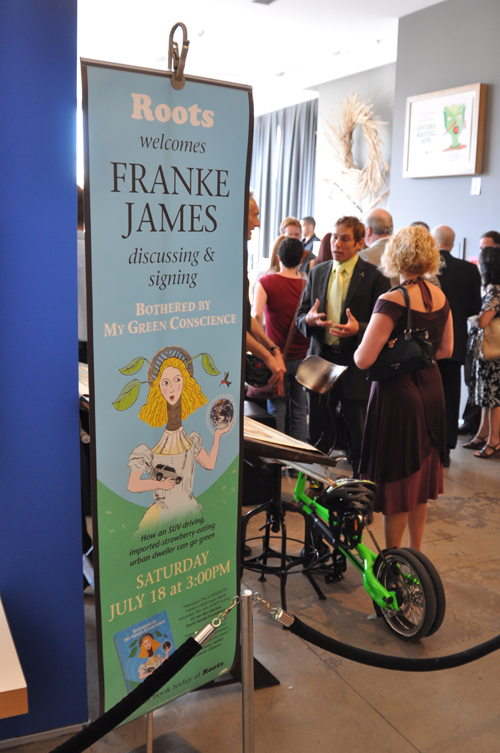 Please check out the Facebook photo album from the event. 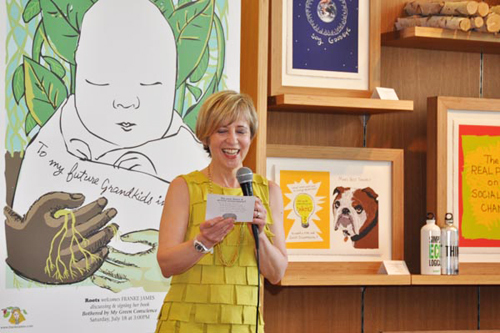 If you missed the launch and book readings, please drop by the Roots store at 100 Bloor Street West, in downtown Toronto. You can buy the book, plus see twenty-one of my book illustrations — printed on bamboo paper — which are on exhibit until the end of August. 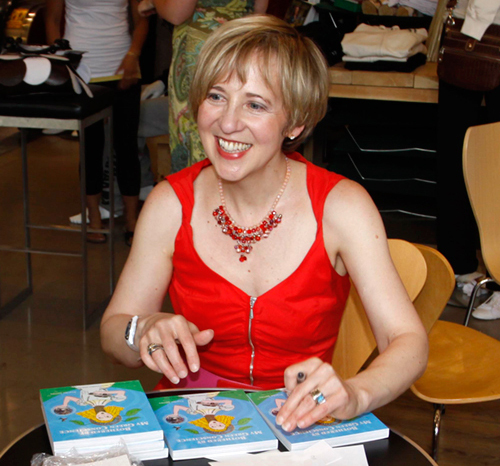 I feel great pride and joy for you, your book writing and launching adventures. Congratulations on all the support and encouragement you have found along the way. LOVE your dresses! By the way, I was first introduced to Roots and their brand at their Bloor St. store (slightly different location) when I was a teenager!! 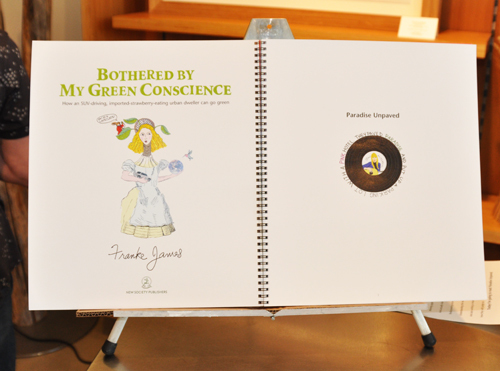 On Saturday July 18th there was the launch party of Franke James new book titled Bothered by my Green Conscience, where Ron Dembo CEO, of Zerofootprint spoke about how here at ZFP we are making Roots Green.